INFLATABLE TUBES: depalletising of the product by pick-up and deposit with cartesian movement. The system uses a gripping head with inflatable tubes for rows of products for a stable transfer of the product. 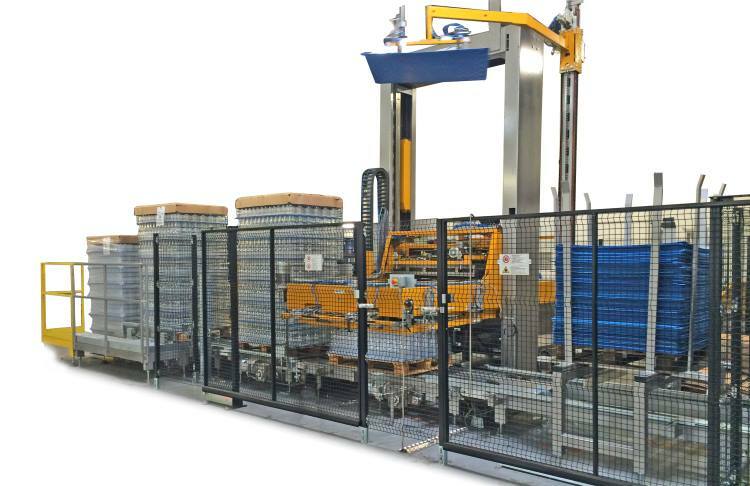 Manual, semi-automatic and automatic depalletisers with orthogonal transfer of the bottles lott by picking up the layer with a series of inflatable tubes. 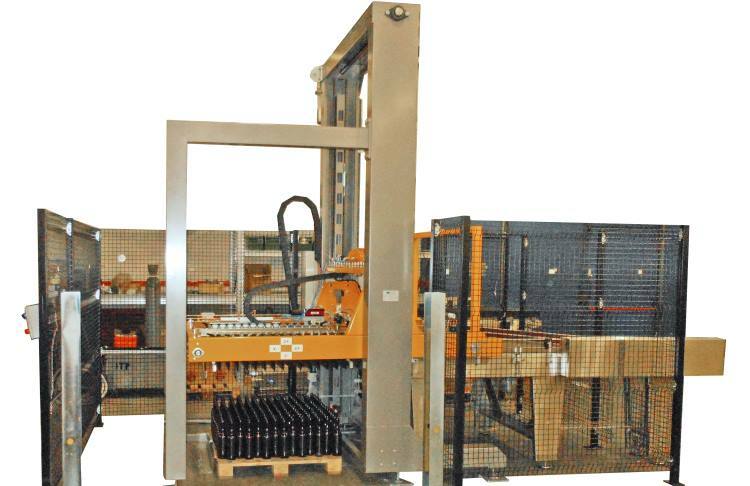 Automatic machines for depalletising bottles and cans by pushing the complete layer. 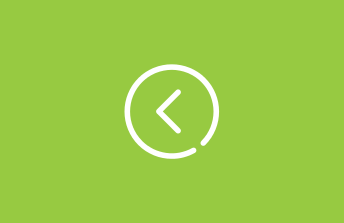 The process can be completely automatic with modules for removing the layercard and pallet recovery.